If you're an audiophile, there's no reason you should be away from your tunes for too long…including in the great outdoors. That's where the All-Terrain Sound Speakers come in. These durable, compact speakers have been tested to survive a ten-foot drop onto concrete, and they're now half off for a limited time only. First things first: the All-Terrain speakers boast an impressive 14 hours of continuous playtime, so they won't cut out during even your longest hikes or rides. And since they're waterproof, you can easily use them while on the beach and lake (or even in the shower) without worrying about a little moisture shorting out your audio. And on that shower note: if you're really keen on having some backing tracks while you get squeaky clean, you can stick the All-Terrain to your shower wall using the included suction cup. Plus, take calls with the built-in microphone if you want…though we don't necessarily recommend doing that in the shower. 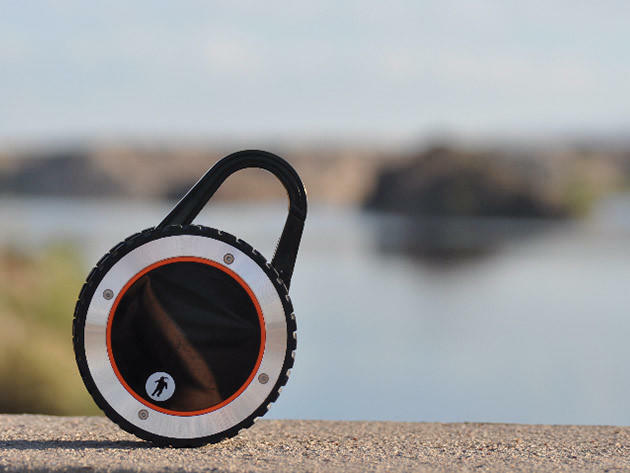 For ultra-durable speakers that you can take literally anywhere, the All-Terrain Sound speakers are the way to go. Grab them for just $29.99, marked down from $59.95 for a limited time only.